I love the 4th of July…everything about it! It’s time to pay homage to those that have risked their lives to make this world a safer place, and celebrate the old U S of A, and our freedom! Our celebrating starts this evening with a beautiful fireworks display, parade, and cookout with friends. Tomorrow, there will be even more celebrating…I just love this time of year! Today, I want to share a few posts I have put together over the past year around the 4th of July. To be taken to the full tutorials, simply click on each photo! 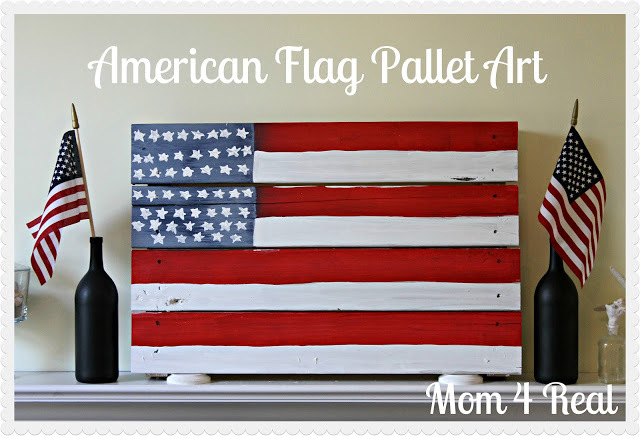 I love to display my not so perfect American Flag Pallet Art on my mantel during the summer months! I painted an old pallet, and while it isn’t perfect, it makes me feel all patriotic. 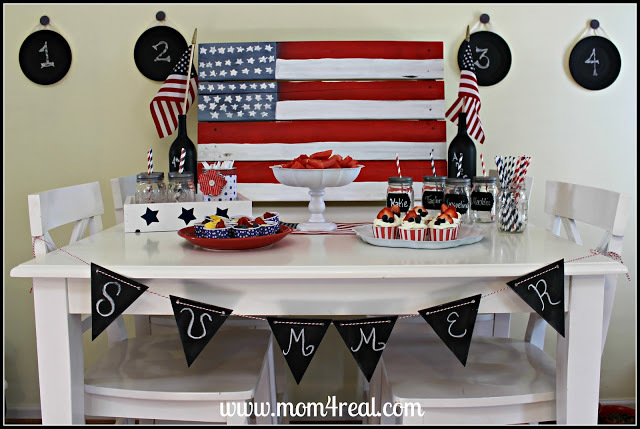 We love a good party, I put a few things together for a fun kid’s party last summer, and we had the best 4th of July Party ever! 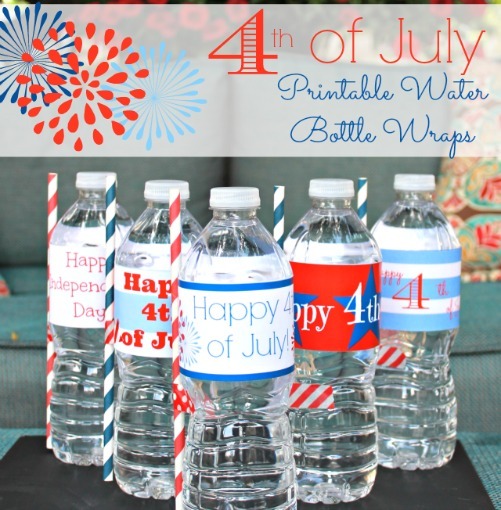 This year, we will be serving up waters at our party with these cute 4th of July Printable Water Bottle Wraps. You can click the photo to be taken to the free printable version…just tape them to your water bottles and voila, you’ve got an instant party favor! And what would a 4th of July BBQ be without freshly sliced watermelon? 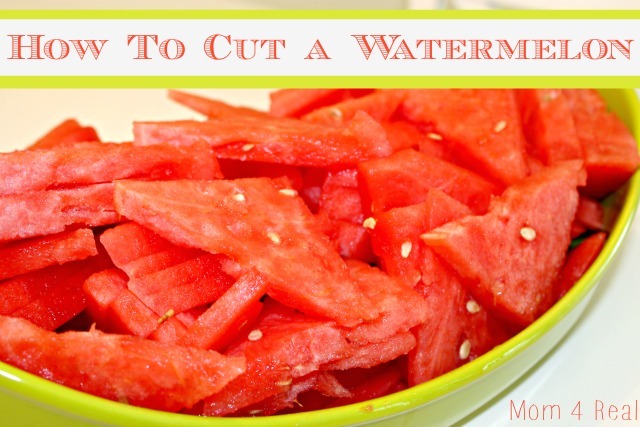 It’s my favorite thing to bring to any summer party or cookout…let me show you How To Cut A Watermelon the super easy way! 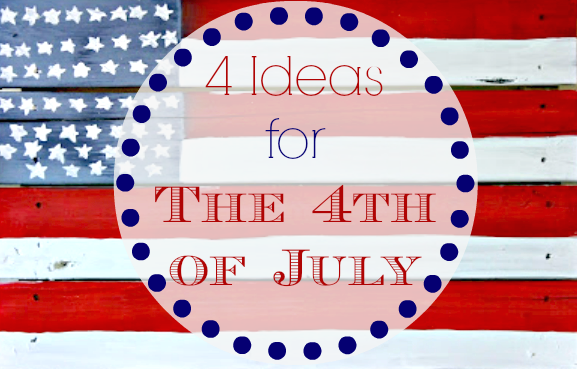 I hope that you can use some of these ideas to make your 4th of July a special one!